Mary’s is currently offering FREE ground shipping throughout the continental US for all NEW English and Western Saddles! Also, all new Western and Endurance saddles are currently 10% off and Mary’s will throw in a FREE saddle cover! In the market for a new saddle for your new horse? Is your current horse gaining some serious muscle along his topline or maturing out of his old saddle? Now is the perfect time for a new saddle. Don’t forget that Mary’s offers 4 day trials on all saddles so that you can ensure the saddle fits your horse and is comfortable for the rider before you call it your own. 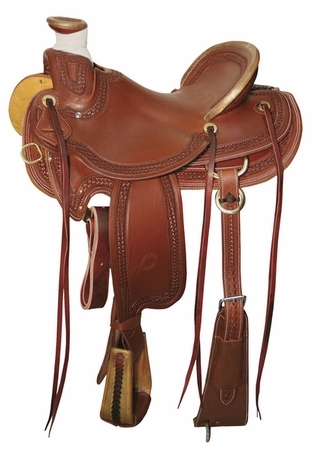 You’ll love the NEW Circle Y Elko Ranch saddle. Designed to hold up to everyday riding with a mule hide horn wrap and wade fiberglass reinforced wood tree which is ideal for roping. This saddle features rawhide cantle trim and horn lip, brass hardware resists rust and six sets of strings to tie your gear, fully hand tooled border, and matching rear cinch set included. Or check out the NEW PDS Carl Hester Integro Monoflap Dressage Saddle, designed for powerful moving horses with a compact back that tend to be barrel-shaped with little or no wither. 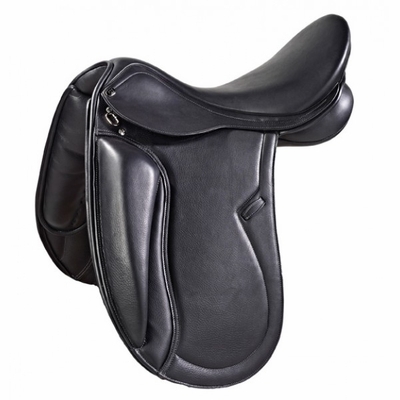 The Carl Hester Integro saddle offers the ultimate close feel in a dressage saddle, with a very close contact tree, narrow twist, and monoflap design. Luxurious doubled-calfskin leather is soft and grippy and AMS synthetic flocked panels are low-maintenance, won’t cause hot spots, and can be reflocked for horses that need a more customized fit. The Integro Monoflap features Pessoa’s XCH Gullet System which allows you to change the width of the tree. We love saddles as much as you do, so drop in at our Del Mar location, give us a ring at 1-800-551-6279, or visit us online at http://www.marystack.com. We love to talk saddles!